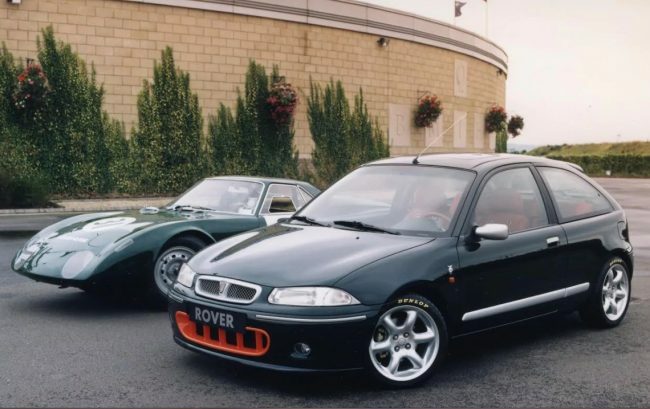 One of the most memorable exhibits from Rover Cars at the 1997 Frankfurt Motor Show was undoubtedly the Rover 200 BRM which provided an intriguing take on Rover’s heritage. David Morgan tells the story behind this much-underrated performance hatch. There’s no doubt about it, the 1990s proved to be a very successful period for Rover Cars. Along with its product line-up being well received in the showroom there were also some favourable reviews from the motoring press. Part of the appeal was from the conscious link with the brand’s heritage through design features such as the chrome-edged radiator grille and marketing strategies which conveyed messages of craftsmanship and engineering. Indeed, during the BMW ownership period, heritage was considered to be an important asset of the Rover brand, with both the Design and Marketing Departments being encouraged to utilise it in an inspiring way. The arrival of Tom Purves from BMW (GB) as Rover Group’s new Sales and Marketing Director in June 1996 initiated BMW’s objective to develop the Rover brand’s concept and direction to become a more premium proposition in the medium and executive market sectors. As much as he had a keen eye for stylish design and loved traditional elements of the Rover history, he felt the image was passé and the brand itself more associated with comfort and discounted fleet deals. A further issue was Rover’s weak performance image, not helped by the lack of a consistent performance moniker used across the Rover model range. Rover Group executives were keen to develop a stronger performance image associated with the Rover brand, although BMW was wary of Rover performance models being viewed as lower-priced competitors to its own models. 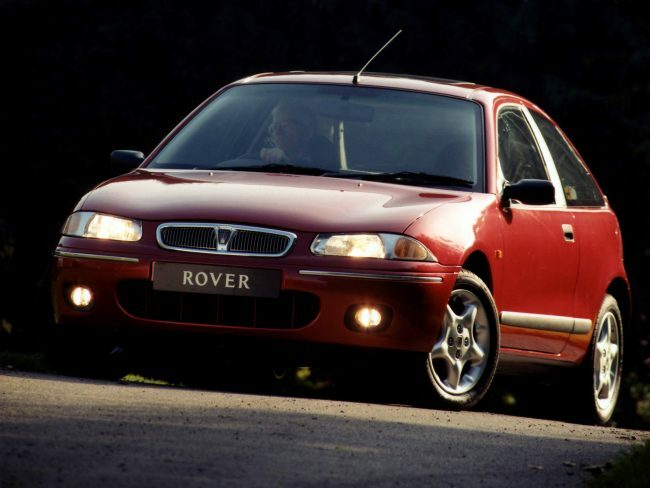 The R3-generation Rover 200 Series had been launched in October 1995 and, with its more youthful interpretation of Rover’s recognised design cues aimed at appealing to a younger buyer, clearly offered that opportunity. Ever mindful of parent company BMW’s concerns, Rover’s executives felt they could still deliver a bespoke and meaningful heritage-based performance model to aid these marketing aspirations. Tom Purves, himself a keen historic motor racing fan, suggested a potential link with British Racing Motors (BRM) which had been involved with the Rover Company Limited in building and campaigning the gas turbine Rover-BRM at Le Mans 24-hour race in 1963 and 1965. He put the idea to Nick Stephenson, Engineering Director, and Geoff Upex, Design Director, suggesting that British Racing Green with orange would look dramatic. The idea quickly gained support from them and the design organisation. Martin Peach, Chief Designer for Colour, Trim and Special Editions lead the project and asked David Woodhouse, a new young designer within the team to think of ways to develop a cosmetic sports image for a special Rover based on the 200Vi. David produced a number of images showing colour variations in the front grille treatment, evoking the colour scheme used by Grand Prix team before sponsorship became prevalent in the early 1970s. The dark green rendition of British Racing Green together with an orange nose band – the corporate colours of BRM’s owner, the Rubery Owen Corporation – had been a prominent team colour identity since the French Grand Prix in June 1963. At this stage, David Woodhouse had a clear vision that the radiator grille would have a woven mesh infill similar to that used by Bentley up until 1994. In addition, a bigger 16-inch alloy wheel design inspired by the classic Minilite design as fitted to British motorsport saloons and sports cars during the 1960s was also proposed. 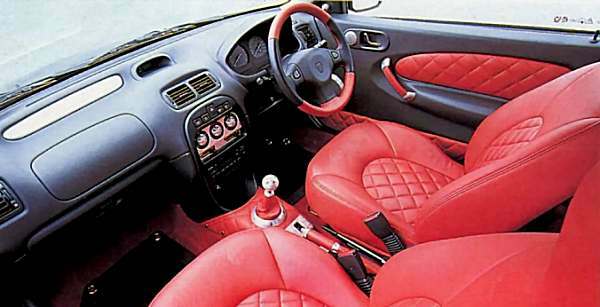 Interior Designer Tony Hunter (who would also develop the interior for the R50 MINI) loved the 200 BRM concept and encouraged Martin Peach on how they could develop a hand-made look to the interior. This would also reinforce the brand’s value of craftsmanship. Inspiration came from the British-built Grand Prix cars of the 1950s and early 1960s, particularly BRMs, with their red seats, wooden steering wheel rim and machined aluminium components, which also reflected the finish of some of the exterior components. Tony’s concept sketches proposed machine-turned aluminium being used for the heating/ventilation control knobs, door speakers, gear-knob and gearlever gaiter bezel. Meanwhile, engine-spun aluminium trim would be applied to the heater console panel, electric windows switch panel and dashboard fascia insert. The seats were shown to be finished in red leather with a diamond pattern design and ventilation eyelets to further convey a heritage link with classic grand prix racing cars. The use of red leather with machine-turned aluminium detailing would also extend to other areas. Completing the interior proposals were throw-in rubber floor mats featuring an eyelet in each corner which conveyed an impression of minimalism. Colour and Trim Designer Siobhan Hughes was then asked to develop the leather facings for the seats and suitable matching red carpets and seat belts based on these proposals. Siobhan also looked at the upcoming new mainline colour palette for Rover Cars and decided that the dark solid version of British Racing Green, to be called Brooklands Green, would be ideal as the main exterior colour. She also considered how a more distinctive look could be generated for the exterior from a painted Sparkle Silver finish to the door handles, mirrors and bodyside mouldings. This would convey an impression of ‘precision engineering’ and also link in with the aluminium detailing for the interior. To achieve the distinctive orange lower grille intake surround, David Saddington, Chief Designer on the R3 project, was asked to model it in clay. Once completed, casts of the clay model were taken and a replica was created from fibreglass and painted, before being fitted to the concept car. Meanwhile, Graphics Designer Colin Parsons prepared the artwork for the ‘BRM’ script to feature as an orange coloured decal for the tailgate, in black lettering on the wheel centre caps and in a quality enamel replica of the BRM emblem to adorn the front wings. At this stage it was known that the 200 BRM project would feature the standard 143bhp 1.8-litre K-Series VVC engine already used in the 200Vi. As Denis Chick, former Director of Product Communications recalled, using an alternative engine such as the turbocharged 2.0-litre T-Series was not a considered proposition given that the front-wheel-drive chassis had been compromised in the R8 220 Coupe Turbo due to being grip sensitive. Therefore, there was no desire to take this potential problem forward on what was effectively a heavily-reworked version of the R8’s platform and running gear. Thoughts of a more driver-focused version of the R3 200 Series had always been evident, albeit through a planned race series which had involved considerable development work from Tony Pond Racing (TPR). As former TPR Engineer Wynne Mitchell recalled, their development work had not focused on the road cars but solely on the R3 race series cars, which would be cancelled by Rover marketing in 1996 in favour of launching the MGF race programme. However, during that period TPR had demonstrated to Rover Engineering that it was possible to accommodate a 205-size tyre on a 7-inch rim as the biggest wheel option for the R3 rather than just a 195-size tyre on a 6-inch rim. In addition, Wynne recalls that TPR also proposed the idea of introducing snubbers between the sub-frame and H-frame; an idea reviewed by Chassis Engineering for the 200 BRM project. The Chassis Engineering team worked hard to turn the already competent 200Vi into an even more driver-focused sports hatchback. Further changes to the suspension included lowering it by 20mm, fitting stiffer road springs to offer even sharper steering response and revised damper settings. Much of this preliminary work was overseen by Peter Richings and Phil Holland, Rover Chassis Project Manager. During the summer of 1997 an official concept vehicle was built to be displayed at motor shows such as Frankfurt, showcasing all the colour and trim features. Sparkle Silver painted surfaces for the exterior trim now extended to the radiator grille, tailgate handle and aerial mast. Clear direction indicator light lenses in the headlamp units and a new deeper front spoiler completed the exterior changes. For motor show purposes only, a Mota Lita inspired wood-rim steering wheel with sparkle silver-finish spokes would be fitted in place of the regular leather-bound item. When the concept vehicle was presented to Rover’s senior management there was agreement to proceed with unveiling it at the forthcoming Frankfurt Motor Show. 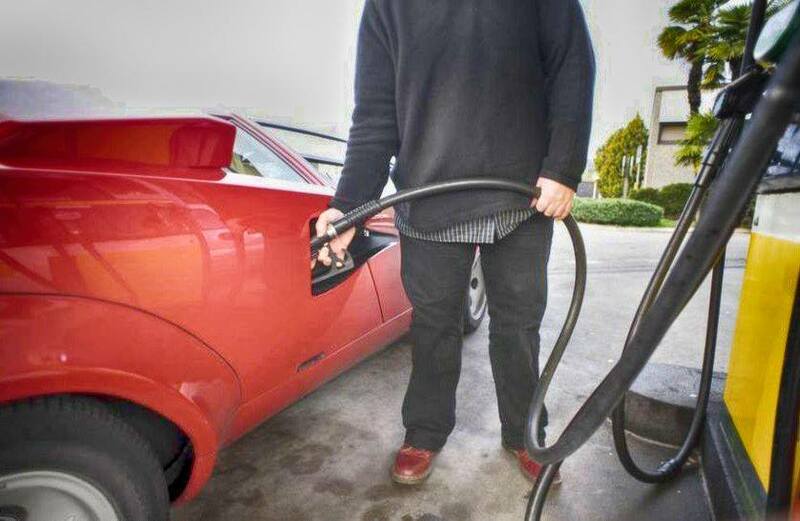 However, there were reservations about the comfort of those nickel-plated seat eyelets and the appropriateness of the orange air intake for the front bumper. Martin Peach insisted that the orange air intake formed an important part in conveying the link with BRM and suggested keeping it; a view that was accepted, including by Paul Davis as Medium Cars Product Director. Paul, as with the rest of those involved with the project, was keen to try out new ideas for enhancing the products and do something a bit on the edge to maximize the press. Rover Group formally approached Rubery Owen Holdings Limited in July 1997, expressing an interest in using the BRM name for the concept vehicle. The company was run by the third generation of the Owen family, David and John, sons of the late Sir Alfred Owen. Both were enthusiastic towards the Rover 200 BRM project and were invited to view the design concept vehicle in its completed form at the Gaydon Design Studio in late August and are said to have liked it. Officially announced on Tuesday, 9 September 1997, the Rover 200 BRM concept was described in the press release as ‘rekindling a relationship first established in 1962 when Rover and BRM had achieved a world ‘first’ by building a gas-turbine racing car that would run in the 1963 Le Mans 24-hour race’. Some 35 years on from that, Rover Cars was suggesting that approximately five hundred examples of the 200 BRM would be built in the summer of 1998. The concept vehicle would also appear at the London Motor Show the following month. With there being a desire to also show it at the Tokyo Motor Show, which overlapped with the final few days of the Earls Court event, a second concept vehicle had been completed over the summer. This was identical to the specification of the Frankfurt Motor Show car although was built in right-hand-drive form. As the design concept started to evolve towards becoming a limited edition (LE) production model over the coming months, a number of trim-related items proved to be either too expensive or too complex to retain into volume production. The main changes comprised of the introduction of a two-tone black and red leather trimmed steering wheel rim, a chrome finish to the radiator grille and door sill tread plates inscribed with the ‘BRM’ script. During a period of chassis development led by Peter Richings, there were concerns about potential compromises in ride quality and the impact the specified 215/40 low profile tyres fitted to the concept vehicle might have on the suspension mounts of production cars. A further insistence of Chassis Engineering was to reduce the size of the rim so as to allow the fitment of snow chains in export markets. Design reluctantly agreed to a smaller rim size fitted with 205/45 profile tyres. Chassis Engineering also ensured the driving dynamics were further enhanced by the inclusion of a torque-sensing differential, uprated brake master cylinder and a close-ratio gearbox with revised final drive ratio. Collectively the changes transformed the original concept vehicle from offering extreme levels of ride and handling to delivering the best balance between handling and ride comfort, which would receive much praise from the motoring press. A five-year licencing agreement between Rubery Owen Holdings Limited and the Rover Group Trademark Office allowed Rover Cars to use the BRM name for this project. Marketing also saw the 200 BRM LE as a test case for establishing whether beyond the current five year licence agreement, the BRM name might have further potential as a consistent use sub-brand for future Rover performance derivatives, to be sold in all markets. Importantly, it would be seen as conveying a ‘special Rover’ in concept, delivery and recognition. The 200 BRM LE’s launch programme was to comprise of a number of events. This would include Sales and Marketing Director Tom Purves driving the first finished car to one of the first Goodwood Festival events. Tom also approached Jackie Stewart to help with the 200 BRM LE’s launch as Jackie, along with the late Graham Hill, had driven the Rover-BRM gas turbine car at Le Mans in 1965. Despite wanting to help, Jackie had to decline due to being contracted to Ford at the time. Rover Cars built six pre-production right-hand-drive vehicles – known as Special Designation Vehicles – for use as the official press demonstrators. These Special Designation Vehicles were completed over the period 20–27 July 1998. Each car would be officially registered on a consecutive registration number from S959–S964 WOM although not in the order they had been built. One of the press cars was used for the sales launch press photos taken at Donington Park in early September using the current race circuit and the old Melbourne hairpin. This particular car was photographed wearing the registration number R200 BRM for display purposes only, as it would not be until February of the following year when one of the other press demo cars would ultimately be re-registered with this registration number. Another press car was photographed for the official sales brochure images. The brochure’s production was handled by Cath Tyldesley in Rover Group marketing and Naveen Dayal, Rover 200 Product Manager. Meanwhile, Ellen Morley, UK Product Manager for the Rover 200, would brief in the copy and have some input into its layout. A seven-page portrait-style sales brochure would be offered in the UK and Holland. For Switzerland it would comprise of two versions with five pages written in French or German. Rover Group marketing also sanctioned a two-page advert to be used in print publications. The official press launch took place at Donington Park in early September. As with the car’s official unveiling as a design concept the previous year, the press launch was led by Kevin Jones, Head of Rover Unit, Product & Engineering, BMW Group Communications, and Martin Peach, Chief Designer for Colour, Trim and Special Editions, aided by Phil Holland, Rover Chassis Project Manager. As Martin Peach recalled, ‘the concept was lost on journalists who did not like the historic context and they struggled to see past this and enjoy the car as a whole, despite its excellent ride and handling mix. Moreover, the fact that a specialist, almost hand-made interior came at a volume price was also overlooked.’ As a result of this the car never gained the success it deserved. 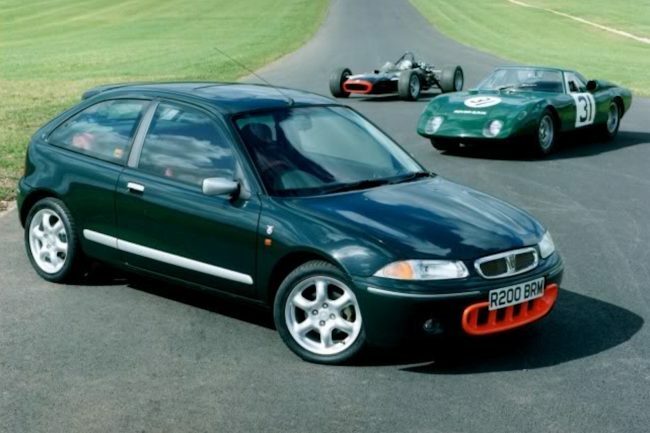 The appearance of a production specification Rover 200 BRM LE at the 1998 British Motor Show confirmed that production was due to commence in November. The build records show that the rate of build would be gradual until volume production commenced from March 1999. The delay in building up production was undoubtedly linked to the dramatic fall in sales of Rover’s models in Japan in 1998 – considered a crucial export market for the 200 BRM LE. This was partially caused by the introduction of Consumption Tax (VAT). David Blume OBE, the former managing director of Rover Japan, also suggests that the premium pricing of Rover’s models initiated by its parent company BMW, did not help matters and actually made the R3 look expensive when compared to its peer imports. As a consequence of these events, Rover Cars had to delay volume production by undertaking a review of the 200 BRM LE’s distribution in a number of markets. The last example to be built, destined for Belgium, left the assembly line on 7 July 1999. The final example completed for the home market – the penultimate build car – was completed on 16 June. Total production, excluding the six press cars, was 1109 examples. The production records confirm that the allocation of production cars was 797 (UK), 50 (Belgium), 77 (Holland), 30 (Portugal), 125 (Spain) and 30 (Switzerland). Sales proved to be brisk in export markets although they were much slower in the home market. As a consequence, on 7 June 1999 the on-the road price was reduced to £16,995 and customers were also offered zero percent finance over three years. By late August, Rover Cars decided to reduce the 200 BRM LE’s on-the-road price to £13,495 from 1 September until the end of that month. The promotional offer would extend to one year’s free insurance and a choice of either two years warranty or two years free servicing. To support the special promotion an advert for regional print titles was made available using the strapline ‘A performance car for £13,495? Give us 7.9 seconds to prove it’. This price reduction, together with the other incentives, likely had an influence in nearly 500 examples being registered in the UK market during September 1999. The remaining unsold examples would gradually be sold through the dealer network at the September price, although without the other promotional incentives. By November 2000 all but one example had been registered in the home market, with the last example being registered in April 2002. 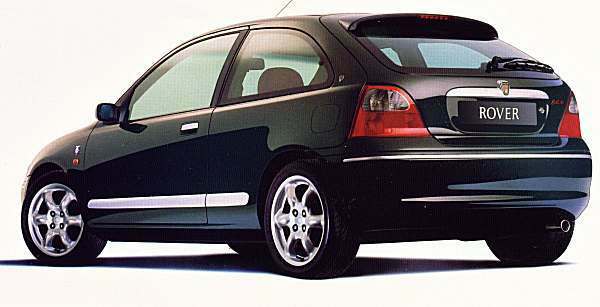 The 200 BRM LE would serve as a useful dress rehearsal for when the company changed ownership and trading name in 2000, to become MG Rover Group. With it came a desire to develop a cosmetic and dynamic sporty model line-up from the Rover models which included the be-spoilered MG ZR, developed from the Rover 25. 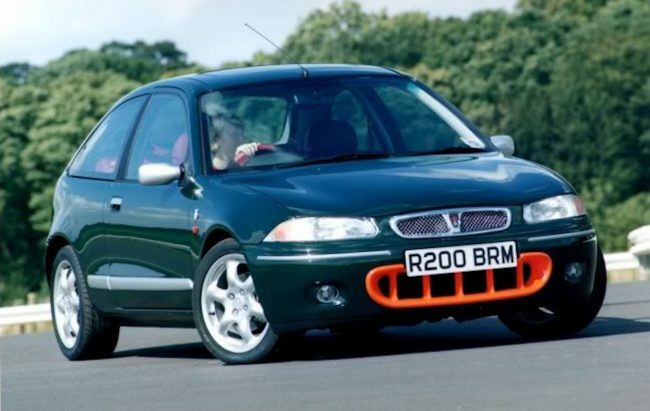 The 200 BRM LE’s quest to promote the technical credentials of the Rover brand back in the late 1990s through a radical and exciting product action may have been lost on the motoring press and the wider buying public not used to more sophisticated products. 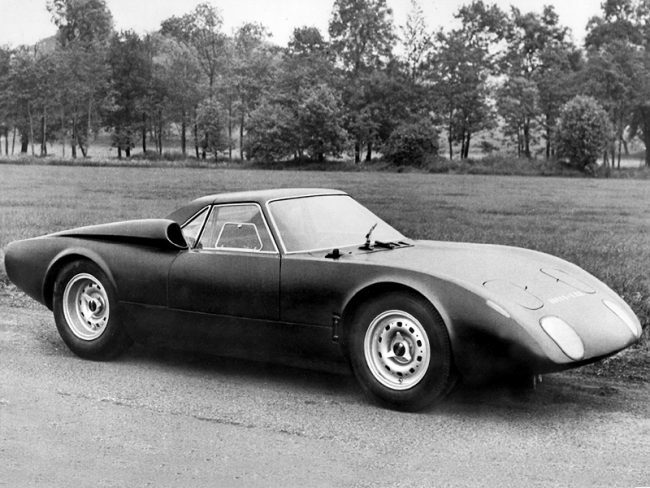 Yet, like the original Rover-BRM gas turbine race car, it showed that the Rover brand wasn’t afraid to push the boundaries when it came to challenging the conventional. Was it a worthwhile exercise? 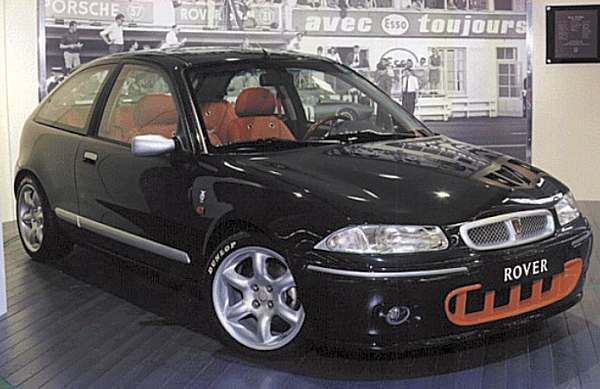 Perhaps if Rover had concentrated on the chassis and engine/transmission developments and foregone the trim enhancements it would have lowered the costs and allowed Rover to aim the 200 BRM at the same market as the successful and sought-after Renault Clio Williams, then the story may have been a whole lot different. Nevertheless, its exclusivity makes it one of the rarest post-war production Rovers and, as numbers dwindle, we hope that future generations recognise it for being a classic because it was a driver-focused sports hatch rather than because they only made a few of them. Thanks to the following individuals for all their help: David Blume O.B.E., Denis Chick, John Dalton, Bren Davies, Ian Elliott, Pedro Faria, Chris Ffoulkes, Ian Fraser, David Hodgkinson, Siobhan Hughes, Kevin Jones, David Lindley, Wynne Mitchell, A. David Owen, Michael Oxberry, Martin Peach, John Pick, Tom Purves, Daniel Saive, Joanne Slater, John Stark and Martin Thirlaway. Thanks also to Club Mg-Rover España. Very, very interesting data given. Thank you! Having the attention spot-on the rim and tyre pairs of dimensions that I just read, I wonder how come that the afterwards Streetwise came with 205/50 tyre on 16 by 6.5 rim… Would it be fine with a fitment of 195/45 tyre on a 17 by 8.5 inches, if only, of course, I’ll manage to enlarge with 1/2 of an inch, the front fender plastic protection?